The BMW X3 (E83) from 2004 – 2010 is fitted with the common failing Bosch 8.0 ABS / ESP pump module unit. It is a widely used ABS pump fitted to a variety of vehicles including Mercedes-Benz, Nissan and some VAG group cars. Until recent years it was not possible to repair the Bosch 8.0 ABS controller and so if it did fail, the only option would have been to replace it with a new unit. New replacement ABS modules are very expensive and require coding. We have successfully repaired 100’s of these ABS controllers and all our repaired units come with a Lifetime warranty, but some garages are still unaware that they can be repaired and may advise you to go for a new replacement part. 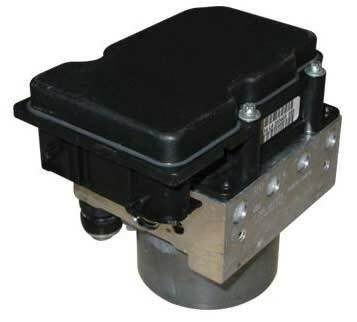 We have the capabilities to fully test & repair this type of ABS pump module and when rebuilding these units we use new genuine OEM components to ensure that every rebuilt pump meets & exceeds OE specifications. We also offer a professional fitting service if required. Below is a Bosch 8.0 ABS pump part number application list, showing you some of the common failing part numbers we’ve seen. Don’t worry if your part number is not listed, it is not a complete list. If you have any queries, call us on 0844 847 9999 and we’d be happy to assist you. Tags : BMW X3 ABS ECU Repairs, BMW X3 ABS Pump Problems, BMW X3 ABS Repairs, BMW X3 ESP Light On. I have sent over an email with pricing and further information regarding the repair of your BMW X3 ABS Pump.